The Institute of Internal Auditors Fiji (IIA Fiji) conference 2018 will be em­phasising the importance of getting certified through IIA Global, include new top­ics about women in the profession, and cover pertinent topics such as IT security and hack­ing. IIA Fiji announced that the event will be held at the InterContinental Fiji Resort and Spa, on June 15-16, including a Gala dinner scheduled on the June 16, where the IIA Fiji Annual awards will also be announced. 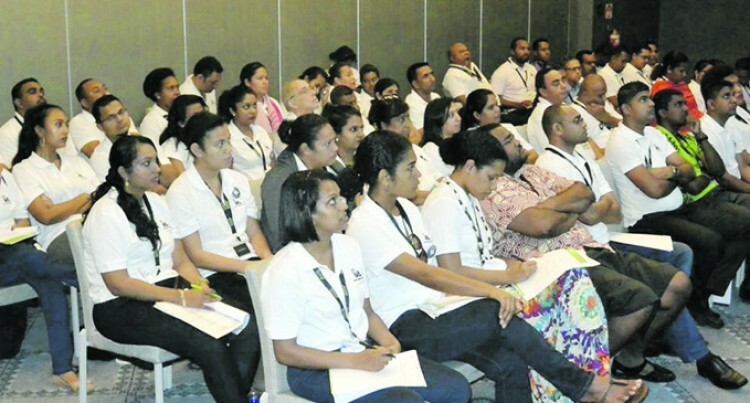 IIA Fiji Vice President Viresh Chandra said: “The Conference allows attendees to stay in touch with the current developments in the fields related to internal audit, to help im­prove their own performance, help their or­ganisations, which in turn helps the economy and Fiji as a whole. -Experience a comprehensive program “Rise to the Challenge” focused on timely, global is­sues impacting the Internal Audit and related professions. -Network with like-minded colleagues from public and private sector organisations. -Earn required CPE credits to maintain your IIA designations. -Share and discuss innovative ideas and con­cepts with recognised thought leaders, speak­ers, and practitioners from around the world. -Participate in sessions on pressing topics such as Business Sustainability, Digitisation, Dynamic Internal Auditing/Audit in Motion, Emerging Concepts – Governance and Risks, Fraud and Corruption, Information Security, People and Relationships, among others. – Awards outstanding performance by in­ternal Auditors or organisations through the IIA Fiji Annual Awards at the Gala Dinner at the end of the Annual Conference. -We’ve been hacked! Now what’s your BCP? Mr Chandra added that this year; nearly all the local and overseas speakers are new to the IIA Fiji Conference. Furthermore the month of May is also the “International Internal Audit Awareness Month”. The registration of the conference has opened on May 1 and interested parties can register right up to the start of the conference on 15 June 2018, as long as seats are available. “10 per cent discount applies for up to two registrations, and 15% for three or more reg­istrations from a single organisation com­pleted before 17 th May. IIA Fiji members also receive an additional $200 discount,” he said.